The assessment of agropharmaceuticals’ side effects requires more realistic simulations of field conditions than those deduced from the dose-lethality relation obtained under laboratory conditions. Because the presence of sublethal doses or concentrations may also alter the behavior of foraging insects, we attempted to devise a quantifiable and accurate protocol for evidencing various alterations in free-flying bees. Such a protocol was illustrated by testing new classes of systemic insecticides. The protocol focused on video recording to quantify the foraging activity of small colonies of honey bees confined in insect-proof tunnels. The basis of the protocol was not the colony itself but the change in each colony on a specific day and between days. First, the paradigms of attendance at a safe feeding source were established by observing 8 control colonies at different times of the season during 5 days after the necessary forager training was accomplished. Second, on three different colonies we considered the paradigms on the control day before contamination and during 4 days after the feeding source was contaminated. During the same period, one more colony was exclusively fed with safe food to serve as control. 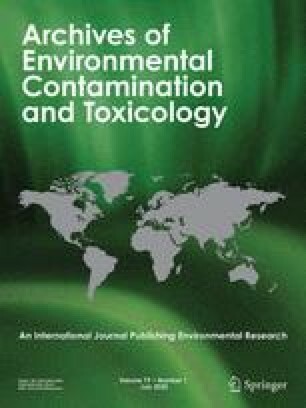 Two plant-systemic insecticides were tested at contamination levels 70 times lower than the 50% of the lethal concentration. Imidacloprid, at 6 μg/kg, clearly induced a decrease in the proportion of active bees. Fipronil, at 2 μg/kg, induced an additional decrease in attendance at the feeder. Such levels are still higher than the corresponding lowest observable effect concentration (LOEC). Our protocol, which provided intermediate conditions between field and laboratory conditions, allowed the quantification, with an enhanced level of sensitivity, of sublethal effects on foraging bees.